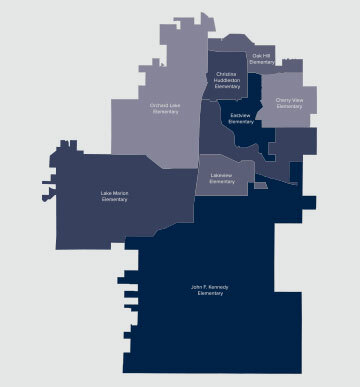 Lakeville Area Public Schools is an award-winning school system located in the southern metropolitan area of Minneapolis/St. Paul Minnesota. The district consists of eight elementary schools for grades K-5, three middle schoolsl for grades 6-8 and two high schools for grades 9-12. 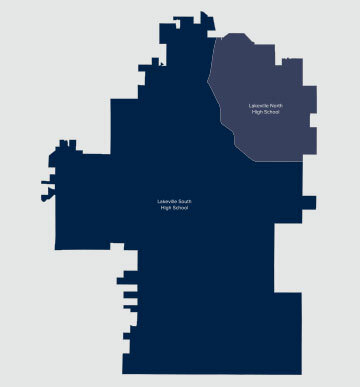 The district serves approximately 11,000 students in Dakota and Scott counties, and covers 86 square miles, including most of Lakeville, parts of Burnsville and Elko New Market, and portions of Eureka, Credit River and New Market townships. Lakeville Area Public Schools consistently earns high levels of proficiency in Reading and Mathematics accountability testing. Student performance outpaces the state averages and is competitive with other high-achieving metropolitan districts. Search homes for sale in the Lakeville School District updated daily from the MLS. For your convenience, you can request more info or schedule a showing from the detail page of each of these Lakeville School District homes. We can provide you with the dates and prices of homes that have recently sold nearby, and as Lakeville School District real estate experts, we not only have access to the property disclosures and past sales history of each property, but the local knowledge to help you interpret them.